The concept was put forward by William Rees (1992), formerly termed appropriated carrying capacity. It represents the biologically productive area of land and sea, necessary to supply the resources a human population consumes, and also to dispose the associated waste. Ecological footprint: Do we fit our planet? from Alexandre Magnin on Vimeo. •It is a measure of how much biologically productive land and water an individual, population or activity requires to produce all the resources it consumes, and to absorb the waste it regenerates. •It may very well reveal how much biocapacity does the planet earth possess and how much of it mankind uses. •How much of the earth or how many planet earths is necessary to support humanity. •In 2007, the biologically productive per capita area worldwide was approximately 1.8gha. • Global Footprint Network (GFN)calculates the ecological footprint from UN and other data for the world as a whole and for over 200 nations. They estimate that as of 2013, humanity has been using natural capital 1.6 times as fast as nature can renew it. •Ecological Footprint Analysis (EFA) can be used as an indicator of environmental sustainability to measure and manage the use of resources. 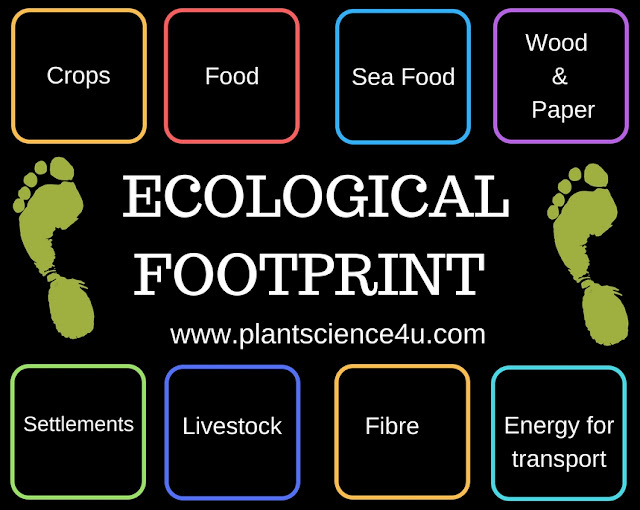 •Ecological Footprint Analysis (EFA) can be used to explore the sustainability of life styles, goods and services, industry, economy and so on.